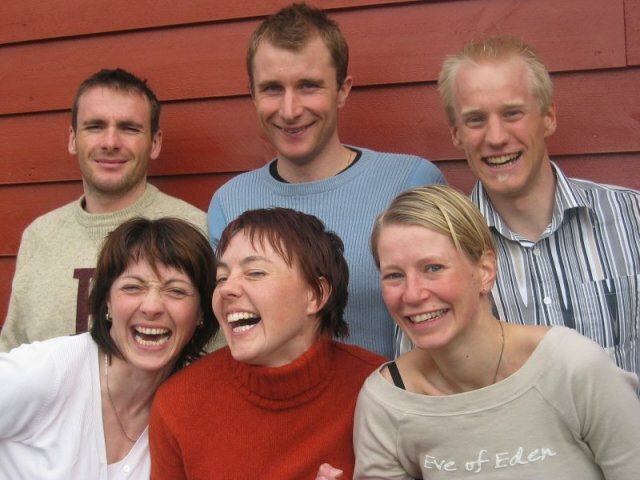 We wish Raphael & Liv Grete, Egil & Ann-Elen, Liv Kjersti & Carl-Johan good luck in the 2005/2006-season!! Welcome to the homepage of Fusa Biathlon Fanclub! Fusa Biathlon Fanclub is the fanclub for the three Fusa-girls Ann-Elen Skjelbreid, Liv Grete Skjelbreid Poirée and Liv Kjersti Eikeland and their partners Egil Gjelland, Raphael Poirée and Carl-Johan Bergman. Fusa is a small community on the west-coast of Norway, about an hours drive and ferry-ride south of Bergen. It comprises 379 sq km, and has about 3700 inhabitants. The two sisters Liv Grete and Ann-Elen, with their partners Raphael and Egil live at Skjelbreid in Fusa while their cousin Liv Kjersti and her partner Carl-Johan at the moment are living in Lillehammer. Fusa Biathlon Fanclub is therefore both a local and an international fanclub with athletes competing for three different nations. You don't have to be a "fusing" to be a member! If you want to comment on our web-pages, or want to get in touch for any reason, click here to send us an e-mail!